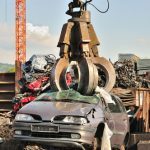 Why Should You Scrap Your Junk Car? We’ll Pay You Cash. Owning a car is an expensive responsibility in today’s world, but it’s a requirement for most adults. 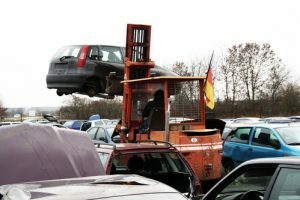 What if you need to scrap your junk car? Between work, grocery shopping, and kids activities, quick and convenient transportation is a must for modern families. That’s why there are over 253 million cars on U.S. roads, many of which are aging vehicles. And some of those end up becoming clunkers that seem worthless in the eyes of the owners. Oh, if they only knew the truth. Scrap your junk car in Detroit may be one of the smartest decisions you can make this year. There are three main reasons for this. One ton of newly mined and produced steel costs 20 gigajoules of energy. To break that down in layman’s terms, six gigajoules equals approximately the same amount of chemical energy created by the combustion of 160 liters (or a standard barrel) of oil. So creating one ton of new steel roughly costs the same energy output as burning through over three barrels of oil. That’s enough fuel for a car to travel from Boston to LA 1.5 times. The automobile is one of the biggest consumers of newly produced steel. Creating new steel not only uses extra energy, but it also burns through essential resources. To create 1.6 billion tons of new crude steel on an annual basis, the industry uses 2 billion tons of iron ore and 1 billion tons of coal. The efforts needed to create the new material also damage the planet’s terrain, poison ground water, and harm wildlife. In 2016 alone, over 600 million tons of scrap steel were recycled and reused, but consumers can do more. Scrap your junk car in Detroit is a great place to start. How many times have you and your significant other argued over a nonfunctioning vehicle? 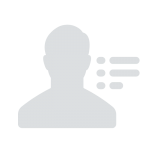 The car may be your baby, pet project, or hold sentimental meaning. But to your partner, it’s little more than an eyesore. A junk car can take up space in a driveway, garage, yard. It can also cause ongoing or even permanent space in relationships. 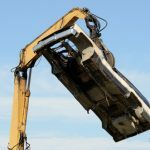 Scrapping your junk car can free up that space and improve the value of your home as well as the quality of your relationship.Just think, you can start an even better project that way and save everyone a load of headaches while also potentially saving your love life. A little compromise goes a long way. According to some estimates, up to 98% of a car can be recycled and reused. Yet, less than 90% of vehicles end up scrapped. Many shells and parts wind up in landfills where it takes decades to begin to deteriorate. That’s a waste to the planet and your finances. Why? Because thousands of scrap centers are willing and waiting to pay you hard, cold cash for your junk car. 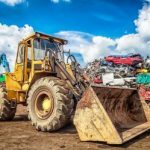 The U.S. has over 9,000 scrap dealers that recycle over 10 million cars per year. Twenty-five junk cars are scrapped each minute, and many of those are done right in Detroit. It takes around 45 seconds to crush an entire car into fist-size balls of steel. And the best part? You can get paid cash for supplying the junk car. All you have to do is call, email, or stop by Junk My Car Detroit to get started on making an extra paycheck today.